But every so often I love to daydream and stare at photos and live the aforementioned scene over and over in my head with various elements added. Toast hanging from my mouth, killer bees chasing me, being followed by my Magical Mascot Character who talks but I haven’t discovered that just yet but will do once I get to school and some kind of demon attacks my entire class, at which point I power up and spin around naked while new clothes appear and doom glitter is rained down upon said demon, and yet I must retain my anonymity, and so magical mascot makes everyone forget with a swish of the MAGIC TAIL and then I eat my amazing cute bento with Hello Kitty chopsticks and a Tee-hee thrown in for good measure. 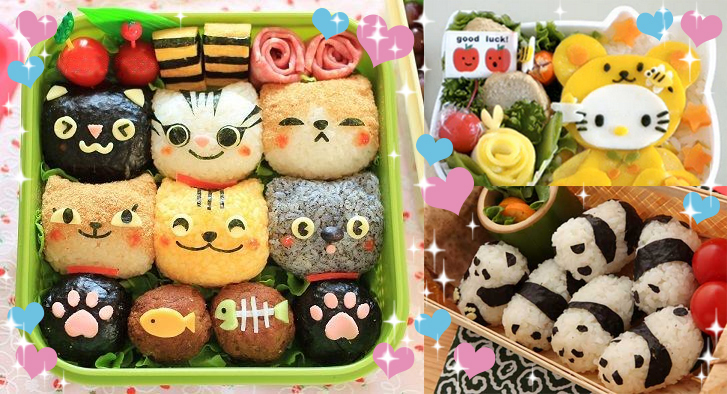 So here are some of my favourite cute bentos and a brilliant tutorial on making your own kawaii bento box! Those pandas… HELP ME O.O THOSE PANDAS! And kitty-onigiri… I feel the kawaii squish monster descending upon me. CAN I EAT THEM ALL YET?? Sleek and easy-to-use-website, great prices! Having a sale on at the moment – do you need any more excuse to pick up something cute to eat out of? And Tofu Cute ALWAYS delivers the cute, look no further for bento boxes that make you all squishy inside! 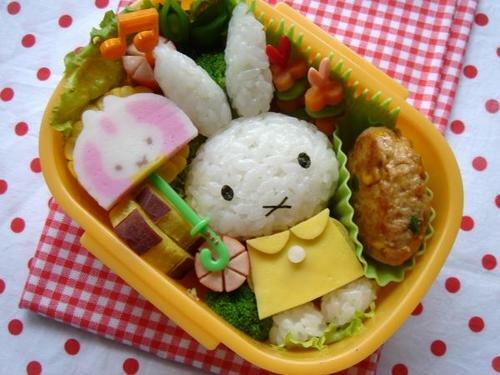 If you make a kawaii bento, link me and I will dribble over it for the next year! Huuuuungry…..